We believe that the future is coworking – coworking is to virtual office, what the Web 2.0 is to the traditional web. It is a way for business owners to engage and interact with other business owners in a way that spurs collaboration and innovation. To understand this better we did a little work with Google Trends. This shows quite neatly that a trend reversal for Virtual Office is now in full swing. Coworking is a trend that started almost 9 years ago and is slowly gaining momentum. Virtual Offices as a trend peaked near 2005 and 2004 (coincidentally, that was the same time that DaVinci Virtual came to be). When we look at the country data, however, we see some other interesting information. Canada is not anywhere near the top – which can mean 1 of 3 things. a) Canadians don’t care for Virtual Offices or Coworking spaces they way other countries care, b) Canadians don’t know about it, c) Canadian commercial real estate prices are much more affordable, thereby making Virtual Offices unattractive. Depending on which is true, the future of the market will change. Montreal and Toronto are the only places with real traction for coworking, while Mississauga, a Toronto suburb, shows the highest interest in virtual offices, followed by Vancouver and Toronto. Virtual Offices are essentially present and desires across the country, while coworking seems to be more a cosmopolitan trend in Canada. Additionally, the concept of a “Shared Office” seems to have more traction in Canada than coworking. While these two terms almost mean the same thing in practice, it seems refreshingly Canadian that we prefer the former to the latter. Coworking suggests a trend with associated hype, while shared office is more of a bland description of the reality of things – i.e. you share an office with others; you may or may not be co-operating in your work with them. What does that mean for office space? Here we have to consider other factors. Coworking as a trend emerged when the financial crisis hit. Psychologically, it suggests that it was born from a need to have support while being forced to going it alone. People with families and mortgages lost their jobs, and were even forced out of their homes. While banks were being bailed out, small businesses experienced a downtrend due to a huge drop in consumer spending. As the economy slowly recovered, the lack of consumer spending encouraged part-time, contract, and low-paid work, over full-time work. Over the years we have encountered a lot of Virtual Office providers, Coworking spaces, Serviced Office solutions, and even small commercial offices. Each one of them has distinct advantages. Commercial Offices a pricey, require long term commitments, but allow for the greatest level of customization. Coworking spaces are often affordable, provide a great working atmosphere but are often not central to businesses. Virtual Offices often do a good job with that virtual presence, but too often fail you when you need that occasional real presence. When we started, now more than 5 years ago, we focused on two things: Great Locations, Affordable Prices. We chose core locations, such as Bay and Bloor or Yonge and Sheppard and build spaces that allows people to move in immediately and without hassles. We focused on personabiltiy, flexibility, and growth. We also stayed away from cashing in on the “Boardroom” rental markets. Many of our competitors charge upwards of $100 for poorly designed and equipped boardrooms. 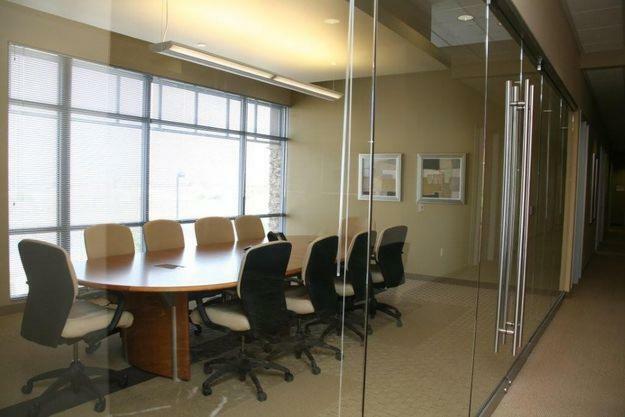 We give free access to our boardroom with our basic Office Clouds package. We make sure that small and new businesses can function without accumulating additional costs or surprises. Our combination of manage technology, core locations, and affordable pricing makes us stand out. Professional plan, including unlimited hours and semi private office with telephone option. Co-working office spaces, as a new concept, promises to revolutionize the way businesses work and interconnect with each other. 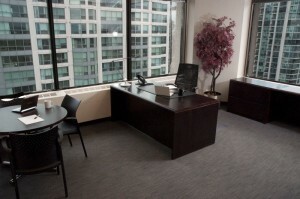 Executive Offices in Toronto Offer Amenities and Services You Need! Toronto is a huge community where businesses of all types and sizes are eager to establish their headquarters, so it is no wonder that renting executive offices in Toronto is rather difficult sometimes. Major companies have already established their offices in Toronto, and this is why finding a free space for an executive office may seem like a real adventure. The high demand brought an increase in the prices, and not everyone can afford to rent a space at a high price. Many companies ignore the relatively high level of the rent in Toronto and insist on establishing their executive offices there. You can enjoy the benefits of a premium business postal address, and not need to be worried about restrictive leases on long term or having to manage costly support staff. There are several groups who own full-service office room space in Toronto. Such spaces are available on decent lease terms. All their offices feature tasteful decorations with modern furniture, including access to technical and administrative support. They are also a host for several other premium amenities and services. Executive offices in Toronto are an ideal solution for evolving businesses looking for prestigious addresses, all-inclusive long-term and short-term options, as well as timely support and set-up. Executive meeting rooms and boardrooms with the following equipment included – high speed access to the internet, LCD projector, TV set, DVD or VCR device, screen, whiteboard, flipchart, conference speaker phones. Renting executive offices in Toronto is a guarantee for a successful business, no matter your field of expertise, the city being already known for its numerous communities of successful entrepreneurs. A well organized, impressive office space downtown is, probably, the dream of every Canadian entrepreneur and not only, but, when you do not need to use that office every day, renting a shared office space in Toronto sounds like a much better idea. Shared office space, often called “touchdown office”, represents an innovative solution for small and large businesses alike. This new concept is for people who do not need full time space for their office, but just need a place where they can work every now and then, meet new clients and place phone calls. Who Needs to Rent Shared Office Space in Toronto? 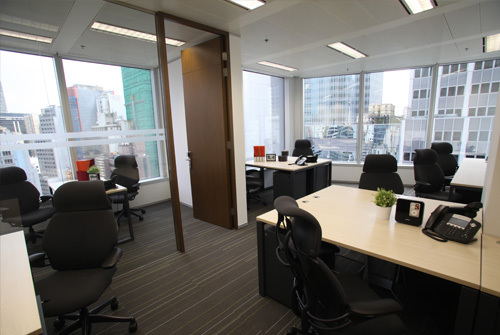 Shared offices are extremely popular with frequent travelers and outside sales people. There are companies that use such shared spaces as bases for their branch offices. Telecommuters are also among the most popular beneficiaries of shared offices. When they come to the office, they can use the desk, phone, and any other equipment agreed upon. The same equipment can be used by other people at other times. Usually, the agreements for shared offices are made for either a small number of hours every day or certain days of the week or month. For example, the same office could host a car dealer in the morning and a weddings planner in the afternoon, a psychiatrist on Mondays and Wednesdays, and mortgage broker on the rest of the days. Shared offices are the turn-key solution for businesses with flexible space needs. The same office space is shared by several companies or professionals, and the good news is that they only have to pay a fraction of the total costs a standard office space would bring about. Besides the low rental costs, shared office spaces can support home-bound entrepreneurs to provide a better image of their companies. If you choose a shared office space in Toronto, it comes fully furnished and equipped, and you have full access to shared common resources, like conference rooms and kitchen areas, as well as many other facilities. What is important is that you, as a client of the shared office space, have full access to modern phone network, photocopiers and faxes, color photocopiers and other state of the art equipment. You also have access to a high-speed Internet service, perhaps even a new email service and web hosting. Photocopiers and network printing are also available unlimitedly. 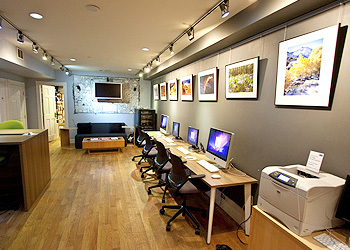 Most offers for shared office space in Toronto also include color network printing and color copying services. Word processing and support for the administration are offered, using the latest software products and equipment. Fax services are free of charge for incoming faxes. You also benefit from kitchen facilities and complimentary tea, coffee and filtered water. You can find shared office space in Toronto at reasonable prices, suitable for all types of budgets, business size or situation. In order to become the manager of a successful business in Ontario, you need to rent some office space but, due to the high rent prices here, a virtual office space in Toronto is probably a much better idea. Several companies offer virtual office spaces in Toronto, providing you with global presence and business support. Toronto is the perfect location to conduct a business from. It offers a prestigious address for any business, credibility and professionalism. Why Renting a Virtual Office Space Is a Good Solution? By renting a virtual office space in Toronto, you avoid paying exaggeratedly for your business location. You can also avoid the hassle of settling in one place for a long time, while you, in fact, work or travel in a totally different area. A virtual setup allows you to work remotely while still benefiting from the Toronto business address at an affordable price. Booking board rooms that you can use temporarily. All these rooms are equipped with presentation tools and even benefit from catering services, so you do not have to worry about anything. All these individuals are trained to offer various services, including appointment scheduling, call screening, outbound calling or order processing in certain cases. What Are the Costs for a Virtual Office Space in Toronto? Pricing is variable, depending on the location in Toronto and the service portfolio that you opt for. A monthly fee can cover the standard package for corporate identity, which includes a business address, as well as professional setting, including conference room, day office rentals, IT help, support staff at additional hourly rates. You can choose to pay an increased monthly fee to include further amenities, such as live receptionists, lobby signage, and local numbers. Live receptionists come as an add-on to the basic package. They greet your callers with personalized messages, then screen calls and transfer them, depending on your individual schedule. Virtual assistants perform administrative and secretarial duties for your business. Managing projects, planning travel arrangements, scheduling meetings and offering meeting support are a few of the tasks that a skilled virtual assistant can perform. As a conclusion, renting a virtual office space in Toronto is worth the money you pay because you get many services that would cost you much more with a traditional setup. OfficeExec launched its own set of coworking spaces last month. The structure of the coworking space is similar to other outfits around Toronto – but the OfficeExec advantage is that you gain access to multiple locations. In addition, you can benefit from full admin support, a whole set of shared access rooms, and an advanced phone system. The busiest professionals and the most successful professionals are not always one and the same. The men and women in today’s society who are the most versatile and dynamic understand working smarter, not harder, is the key to finding real success and having the time to enjoy it. Your business might be your baby, but it shouldn’t keep you up at night. When you rush from meeting to meeting all over town, throughout the day. When you wear yourself down with each trip east to west and then north to south. When you are simply not your best-self for each successive engagement. You aren’t offering the version of your company, the finest representation of your brand, that you should. And your clients and customers will notice. How many times have you rushed into a lunch meeting with an arm full of papers in a near-panic because of multiple factors out of your control? How many traffic-jams and transit issues have robbed you of precious growth opportunities? How often have you thought that your brand needs just a little something more? Office Exec offers that “something more” and can take the rush out of your day so you can walk into each meeting and pitch with a cool head, focused approach and confidence that will tell each client you mean business. With locations throughout Toronto that will suit whatever message you want to send, your potential investors, vendors and customers will see what you want them to see, a brand worth paying attention to. With a dedicated staff at any one of four locations who know you and know your business we can help you reach the goal of higher visibility and appreciation that every entrepreneur strives for. Meet backers and investors on their own turf with a private office in the heart of the financial district. Take your clients out afterward for shopping, dining or entertainment from our Bay and Bloor location. Give your clients a break from the traffic and mayhem of downtown and meeting them at our Yonge And Sheppard location where they can get to and from the airport with minimal time investment and have transit close-at-hand. offshore centre For a training or team-building session, the Duncan Mills location offers a quiet atmosphere to spark your creativity or give your clients a calm, no-pressure environment that fosters the open exchange of information. Office Exec wants your day-to-day to be as trouble-free as possible and match your vision with the flexibility that empowers you to bring all your tools to the table with the energy your clients need. Call us today and see what we can do to grow your business and streamline your process to reach your goal. With all the hard work, long hours and personal sacrifice you’ve put into growing your small business and living up to the goals you’ve set over the past year, why not start this next year off with the expanded presence and business edge that a flexible, customizable, virtual office can offer? With prestigious Toronto business addresses, answering services, call-forwarding and actual board-room space at a moments notice, Office Exec give you the ability to move on client opportunities with an ease a home-office just cannot provide. Set up meetings with potential partners and show them you mean business, so they’ll want to do business. When your existing clients call and are greeted by a live professional it reassures them that you are moving forward and making progress toward the mutual goals which are going to benefit everyone on board. If you’re out of town the reception staff will be informed and direct calls and requests for information appropriately so you’re never caught unaware. Leaving special instructions for the staff to contact you in case of specific circumstance is as easy as picking up the phone or emailing our support staff. 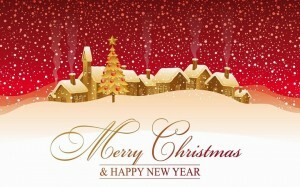 The New Year is about starting fresh and taking hold of the opportunity presented by a years worth of lessons learned. Don’t sell yourself short and wait another year to command attention and step into a more dynamic way of doing business. With large and small spaces, throughout the city of Toronto, Office Exec can customize your service package to fit the budget and level of involvement you’re comfortable with. Each unique space comes with a range of amenities and staff options to accommodate any number of clients and guests. virtual offices With contemporary office décor, modern telephone equipment, audio/video equipment and internet access throughout, your clients will have no doubt that you are engaged and ready to create momentum in the coming year. Office Exec is a full-service virtual office that provides shared office space, communications support and business technology when you need them and can fit any budget or level of integration necessary to take your work to the next level. Call or email us to enroll our expertise in growing your business today. When you think about all you do as a small business owner or consultant, working for yourself and setting the pace with your company and personal growth – when you take into account the level of energy and motivation that your work requires – it just makes sense to adapt every available service toward your ultimate goals. Office Exec provides services which optimize your work-life and let you focus your efforts where they ought to be focused most – your clients and your products. When you act in multiple roles throughout your day it gets difficult to distinguish yourself from those working for others. You’re the boss applesauce, so why not act like it? You don’t have to be the mail-room for your own shop, recieve mail at our locations. This is like a mailbox with the added benefit of accepting courier deliveries, any size packages, and other sensitive items not suitable for a mailbox or postal address. We do mail forwarding, mail forwarding to multiple addresses, mail scanning, receiving mail under multiple company names and so much more. Keep your business address and personal address seperate to ensure safety and privacy. Printing your home address on marketing materials, like emails, business cards, and flyers exposes your home and undermines your business. Using our addresses, like Bay and Bloor, Nestle Tower, etc. gives your business an edge over the competition, while keeping your personal life safe. Receive a business phone number and fax number equipped with direct line forwarding, fax to email, voice to email, long distance numbers, conference numbers and multiple voice mails. Our front end administration staff will give the personal touch to all aspects of your business from receiving deliveries to giving your clients a professional experience and warm welcome. Our reception staff will learn your business and your clients to give the dedicated feel of a full-time staff. When off-site you can still count on our people to answer your most pressing calls, greet clients and send them to your direct line whenever you need. You can have multiple instructions for different clients and we will always see that the right calls get through and your time isn’t applied to less pressing matters. Let Office Exec implement a multiple tier plan to take the grunt work out of your daily life and let you get back to creating opportunities and products to grow your business. Use Meet Up and OfficeExec to promote your business. Most small businesses have a website that gets lackluster traffic. Just to bring good traffic – traffic that is interested in your products or services up to a 1000s visitors a month takes time and dedication, which most don’t have if they are trying to run their own business. But, even if you get those 1000, or more, visitors, they don’t translate into contacts. Maybe you’ve heard off MeetUp.com? Maybe you’ve even used it – and if so, we would love to hear about it. MeetUp.com is a social media site that gets millions of viewers a month. More importantly they have an active community where new groups, and new meet ups are emailed to existing users looking for that type of thing. For example, if I have set up “Email Marketing” as an interest and a new group, or a new meet up happens in my area about “Email Marketing” i get a notification. Imagine you are an email marketing looking to build trust and exposure to your brand – just by created a meet up you would have reached out to potentially 1000s of interested people. Now comes the tricky part – where will you have a meet up? Coffee shop works for small (3-4 people) informal gatherings to hash out ideas. But you need a quiet, dedicated space to really get people involved. This is where your free hours with OfficeExec come in handy. When we decided to offer free boardroom hours we broke an industry norm. Even now, 4 years later, not a single one of our competitors offers free boardroom hours. Most of their profit models rely on charging a hefty sum for the use of the boardroom. We thought, a new company, that is still trying to find itself, shouldn’t have to spend tons of money for the potential of a client. The free hours was our idea of extending your marketing budget. As years went by, people didn’t see it that way – instead they utilized the hours practically. They would have schedule important meetings with their clients during the free hours and end up saving a hefty sum. According to our numbers, we saved each one of our clients an average of $1724 over 2013. That’s good – but that was never the actual intention. The intended use of the space was to create ways to gain new clients. If you are inviting a paying client – then the smart way is to pass the cost onto the client. Use the free hours to get new clients, instead. MeetUp.com just makes the whole thing much easier. 1) Simply start a MeetUp Group that speaks to your audience. Just by starting the group you establish yourself as an industry leader and an expert. 2) Have the meet up itself at OfficeExec, using your free hours. That’s it. Our standard plan comes with 12 hours free – that is enough for 3 -4 such meet ups a month. This will allow you to build tight networks and channel your expertise through word-of-mouth marketing. If you need help to get started or unsure of what MeetUp.com is or how to use it, let me know – gratuz@officeexec.com – I’ll gladly share any other tips I have with you.